Whether you are preparing for your first trip to the Caribbean or consider yourself a seasoned veteran, packing for vacation can feel like a daunting task. We believe every day leading up to your vacation should bring growing excitement, not stress! These are the absolute most important things you need to get to the Caribbean. Your passport and plane ticket should be tucked in a secure and easily accessible area such as carry-on or purse packets. Keep in mind that passports are absolutely required for Caribbean travel, and you will be denied flight service without one. 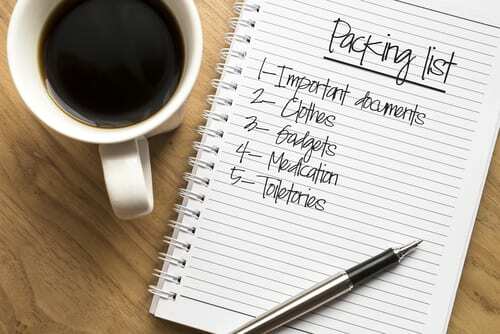 Pack your carry on with any items that would be essential within 24 hours of travel. This includes prescriptions, toiletries, a change of clothing and shoes, and definitely a bathing suit! With international travel, luggage can be delayed for up to a day. 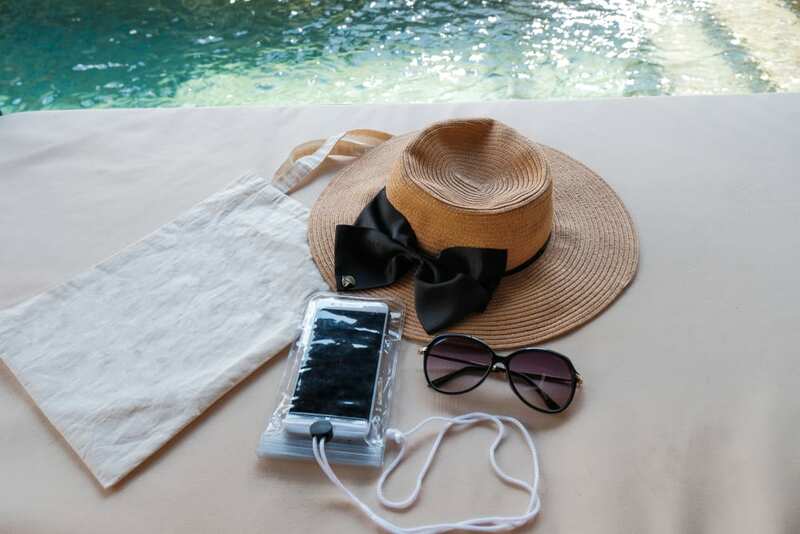 A well-equipped carry on will leave you lounging poolside, and stress free, while waiting for your suitcase. You will need a pair of sneakers, sandals, water shoes and dress shoes to equip you for vacation. Flip flops will accommodate you for the majority of your vacation, and the remaining will keep you protected and properly dressed for other activities. Multiple bathing suits, got that? They take longer to dry in Jamaican humidity, and there’s nothing worse than pulling on a damp suit. Swimwear doesn’t take up much room in your suitcase, so just pack them in! Did we say multiple? Light Jacket & Umbrella: In some areas of the Caribbean, you’ll get a little rain almost every day. Pack a lightweight umbrella to keep yourself comfortable. If you’re traveling in the winter months, you may find a light jacket comforting as temperatures take a slight dip in the evening. We mentioned previously that revealing and skimpy clothing is not ideal for your Caribbean getaway. Take note that camouflage clothing is strictly prohibited, and even illegal in some Caribbean areas, so just leave all these at home. 3. There Will be Sun! Bring as much sunblock as you can, and bring more than you think you will use. Choose waterproof sunblock from varying levels of SPF, and encourage everyone in your travel group to pack in excess too. You will undoubtedly be enjoying the sun, and running out will cost you a pretty penny to stock up. Just do it, your skin will thank you! Whether you planned on it or not, there will inevitably be some sunburn on the horizon. Packing a bottle of aloe will help relieve the pain without the additional wallet pain of buying a bottle in Jamaica. Don’t get mistaken for the lobster you’ll be enjoying for dinner! Burnt lips? Ouch! Bring along a moisturizing lip balm that has SPF. It will help protect you from the sun, and also relieve lips in the chance they do become sun burnt. Some of us are just more prone to itchy, scratchy bug bites than others are. Pack a bottle or two along to keep you from smacking away the insects. And I’m sure some unlucky soul will thank you for thinking of it when they forget themselves. Sunglasses & Hats: We clearly think you should pack as much sun protection as possible. A wide rimmed hat will keep the sun from burning your face. Sunglasses, with SPF protection, will also protect your eyes from the fun you’re going to have in the sun. Ziploc bags are perfect for keeping things dry and preventing bottle spills in your beach bag, and trash bags are great for keeping everything in your bag protected from water activities. For cameras and electronics that can’t risk any contact with water, purchase a waterproof case that is airtight. Snorkel Gear: If you plan on snorkeling or find yourself even mildly drawn to the idea of it, bring your own snorkel gear. It will definitely be much cheaper, and in some cases more sanitary, than renting from your resort or buying them in Jamaica. Note: We provide snorkel gear to all of our visitors. Bringing an extra bag along is great for a couple reasons: it gives you a beach bag to carry along during the day, and you now have room to bring home souvenirs instead of cramming them in your carry-on. Thinking about a tropical vacation? We can help! You can reach us at 402-281-3022.